For as long as there have been gullible people, there have been jokesters taking advantage of these dim folks. And, though we have advanced as a society to have a world of knowledge that we can carry in our pockets, there are still a select few of us who choose to throw all common sense to the wind for the latest smartphone hack they find on social media. So, for you challenged smartphone users out there, this is for you. We will not tell your friends if you fell for these. 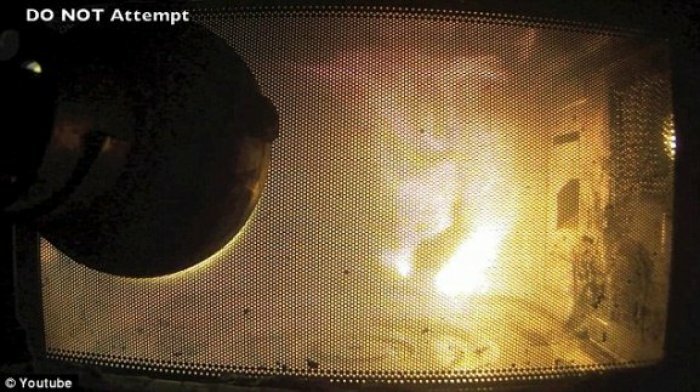 #1 - Use Your Microwave to Charge Your Phone! Soon after the recent release of iOS 8, a fake Apple advertisement emerged on social media. A new method for charging your iPhone was described in the fake ad. 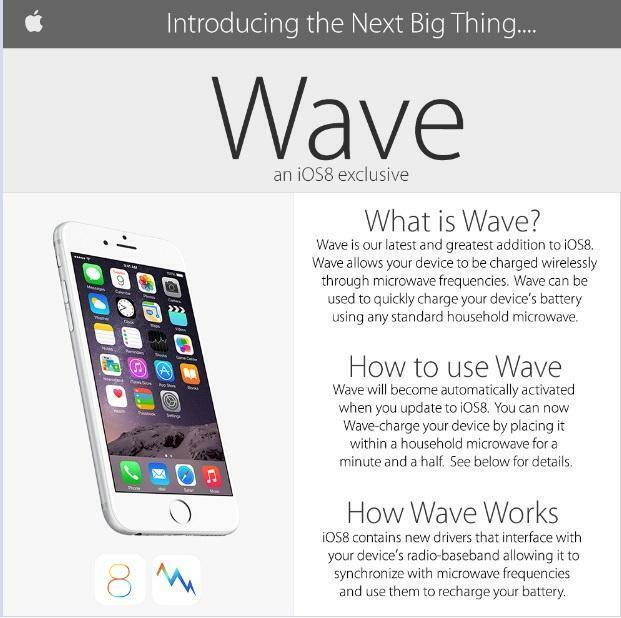 The method was known as “Wave.” The process is simple: toss your iPhone in the microwave for a minute and a half, and voila! It is completely charged. #2 - As you can see from the high flame content of the iPhone in the picture above, this new method for charging your phone may have a few kinks that need to be worked out. 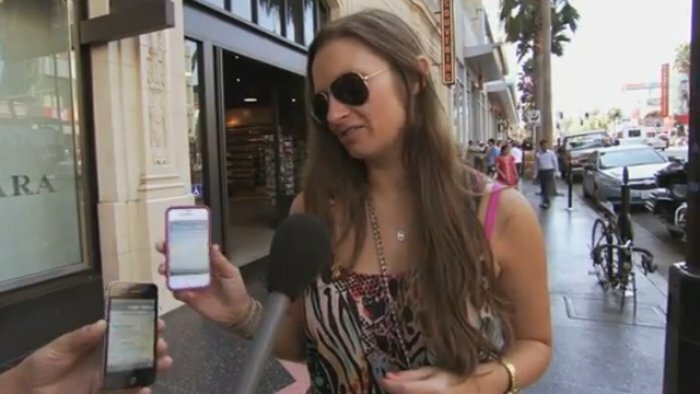 In 2012, Jimmy Kimmel was carrying out a lot of Apple-related hoaxes. Basically, he would go up to people on the street and convince them that the fancy iPhone 4S he had was the new iPhone 5. Predictably, people ate it right up. #4 - The New iPhone 6 Plus Bends! 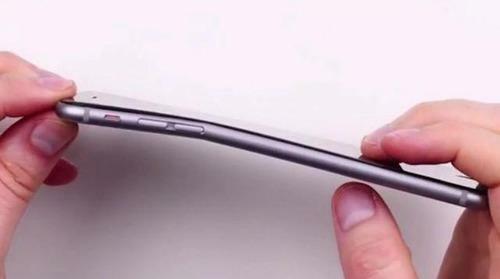 So, the new iPhone 6 Plus really does bend. However, this is a design flaw that has been plaguing Apple. The whole controversy was deemed “Bendgate.” This has led to a satirical commercial spoofing the defect as an intended special feature of the new phone. It is only a matter of time before dudes are snapping their new iPhones in half. 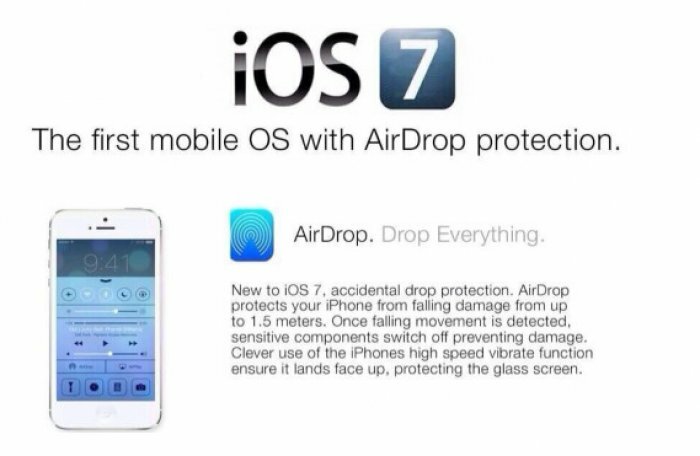 An official looking advertisement showed up on social networking sites soon after last year’s release of the iOS 7 mobile operating system. The ad claimed that the update made your phone waterproof. This, along with many of the other Apple hoaxes, are believed to have originated on 4chan. #6 - As you can see above, the gullible people of the world were not impressed, and they took to the Internet to let the world know that they fail to understand the basic laws of electronics. 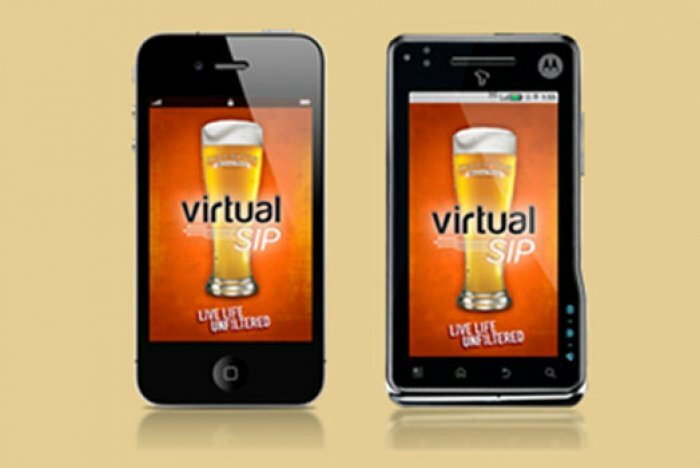 In 2011, Shock Top Beer created an app called Virtual Sip just in time for April Fools’ Day. The app allowed pranksters everywhere to take advantage of their less discerning friends. Perhaps the most notable victim of the prank was an anchor on San Diego’s Fox affiliate. 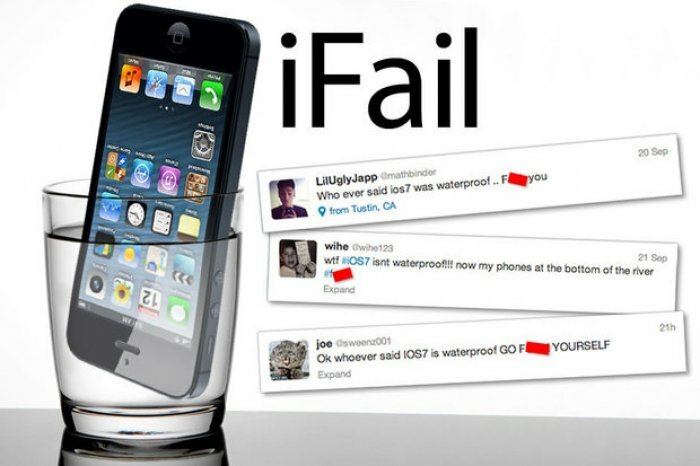 Along with the waterproofing feature of iOS 7, there is also accidental drop protection. This feature is slightly more plausible. It is even made more plausible by the fact that there really is an AirDrop app used for file transfers. It is unlikely we will ever see this feature though, since the manufacturing of smartphone cases is such a lucrative industry.